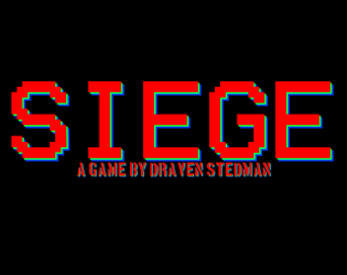 Siege is a game where you are a little guy on a planet with a cannon. There's waves of progressively stronger kamikaze spaceships aiming right for your planet. You must shoot them down before they destroy your planet. That's literally it. That's the game. Made in 3 days in a basement, unpolished and messy, but it's fun!